For as long as I can remember, spicy smashed cucumber has been one of my favourite little appetizers at Chinese restaurants. Along with those impossibly tasty salty fried peanuts, I’m always delighted when small plate of smashed cucumber finds its way my table. A little nibble here and there really whets the appetite (not that mine needs much whetting, ha). I just adore the humble cucumber, with its ‘refreshingly crisp’ song mouthfeel. That’s why I love this salad, which puts cucumber squarely in the spotlight. 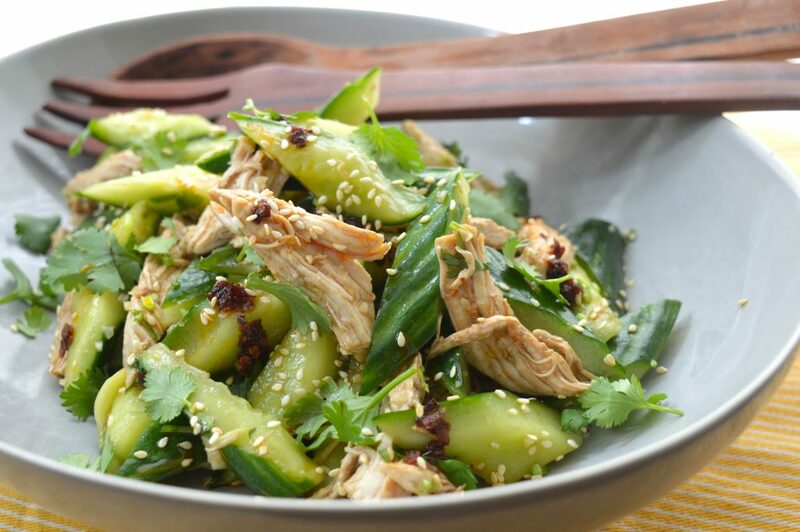 Adding shredded chicken makes this salad a great substantial option for lunch or dinner, and like the cucumber itself, the chicken also soaks up the deliciously tangy and garlicky dressing. For something so flavoursome, it’s also ludicrously quick to throw together. Fun too, because the ‘smashed bit’ means that you get to release your tensions as you bash the cucumber apart. I love the mentality behind it, and I imagine that a cool little Chinese granny is the mastermind behind it: why go to the trouble of chopping the cucumber when you can just whack at it until it naturally splits? This method also leaves you with charmingly imperfect little pieces of cucumber, which are more fun to chopstick! 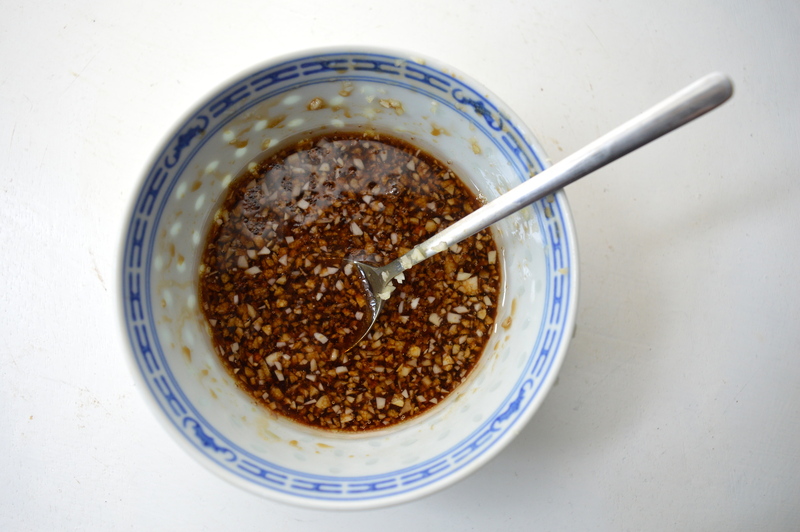 Prepare the salad dressing by mixing together the salt, sugar, soy sauce, sesame oil, vinegar, garlic and chilli oil. 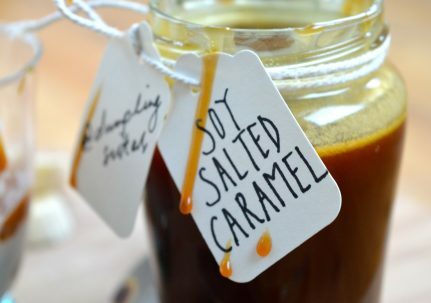 Make sure that the salt and sugar are dissolved, then set aside for at least 10 minutes so that the flavours can mingle. 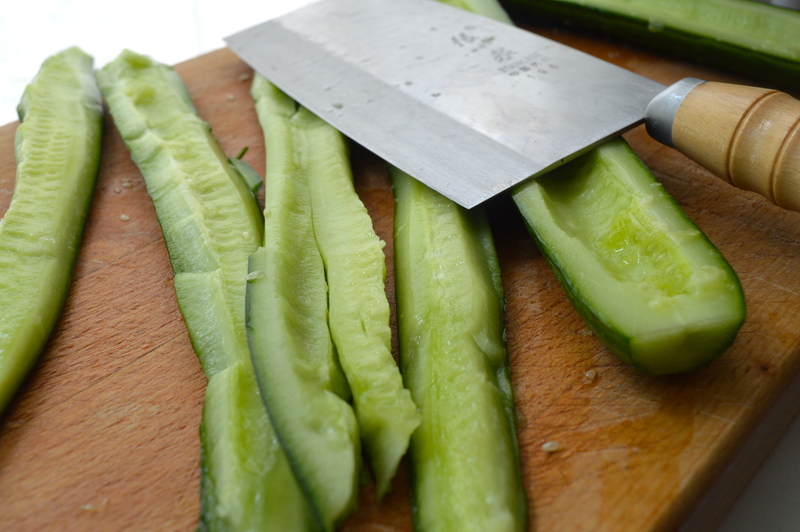 Slice the cucumbers in half lengthwise and use a teaspoon to scoop out the seeds. Then with the skin side facing up, lay a wide knife (like a cleaver) on top, followed by a tea towel. Use your other hand to smash the cucumber halves along their length – they should split again. Slice the cucumber lengths into bite-sized pieces. You can also use a rolling pin for the smashing. 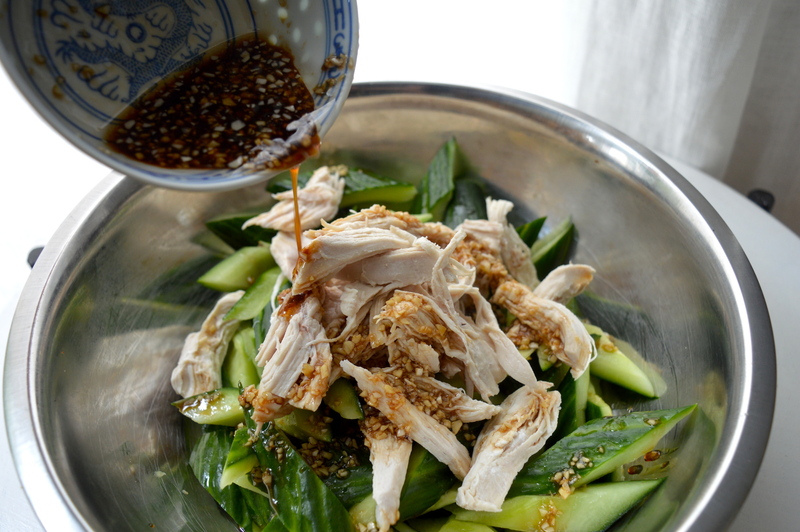 In a large bowl, combine the cucumber pieces, shredded chicken and dressing. Allow it to marinate for around 10 minutes before serving – this way the cucumber and chicken can soak up the flavour. 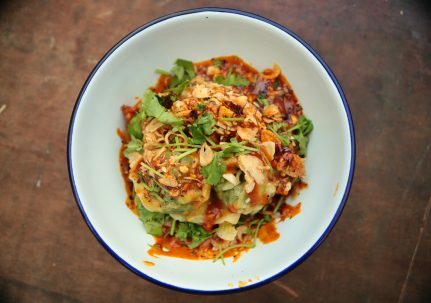 Garnish with toasted sesame seeds, chopped coriander and extra chilli oil, if you wish. I cannot wait to try this! It looks ingenius! Aw thanks!! 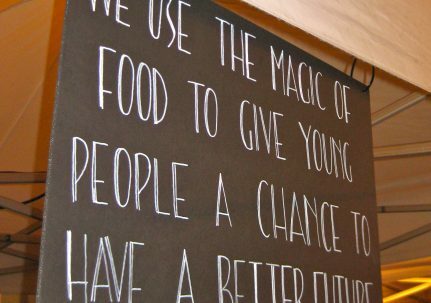 Do let us know what you think! I truly feel Chinkiang vinegar is the key here. 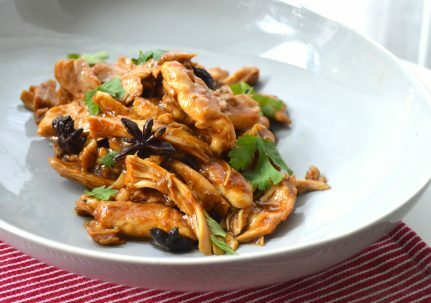 While normal rice vinegar may also produce a tasty dish, there’s nothing like Chinkiang! That was delicious! Thanks for the recipe! Thanks very much for the feedback – glad you enjoyed it!